Our customers’ safety and our workers’ safety are our priority. 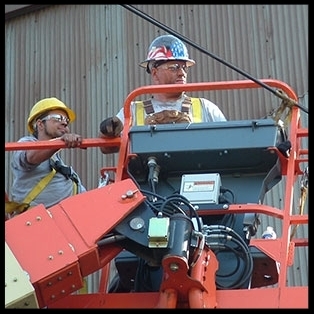 All of our workers have completed our extensive safety training programs. Additionally, we have an internal Safety Committee that keeps us on top of any changes in federal, state, county and municipal laws related to safe working environments. Bertolet Construction Corporation: recipient of the Safety Training and Evaluation Process (STEP) Gold Award from Associated Builders and Contractors. As a member of ABC (Associated Builders & Contractors, Inc.), we have been participating in their Safety Training Evaluation Process (S.T.E.P.) program since 2008 as a means to continue to improve our safety performance. We started at the Bronze level, moved up to the Silver level, and for the past 2 years attained the Gold level. Through this program we have signed an OSHA Strategic Partnership Agreement whereby we work with an OSHA representative to improve safety on the job site. Of the 585 members of ABC Keystone, only 47 members participate in the S.T.E.P. program, and of those, only 20 participate in the OSHA Partnership. We are proud to be one of the 20. What Are ABC Safety Awards?